This versatile trend is showing up all over denim and leather jackets, but we also love it on everything from your preppiest sweater to your grungiest backpack. Yep—pins are cool again. In fact, they’re the microtrend of the moment. Try adding colorful pins to your bare lapel because 1) this trend is unisex, and 2) it’s super easy (any pin will do). The more outrageous the better! 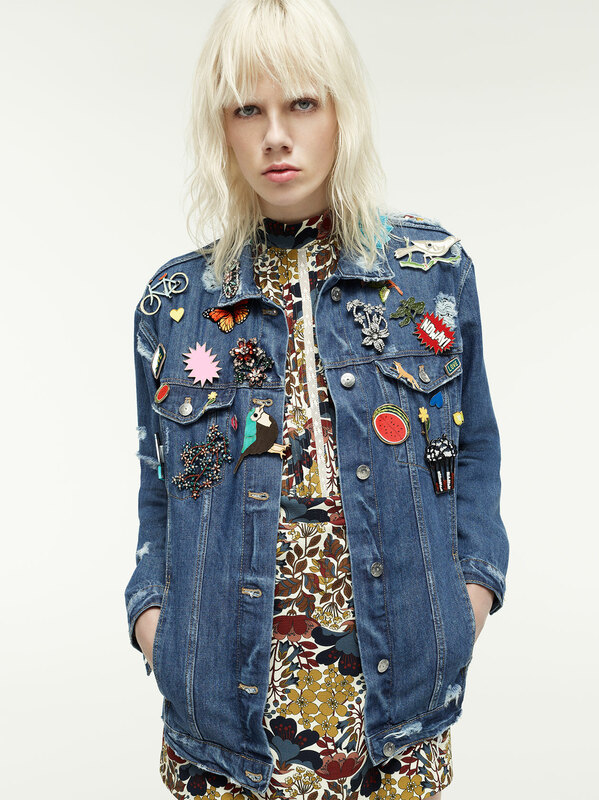 Pin adornment is our pick for a fun and easy way to upgrade any jacket this spring. Remember: if you’re pinning, you’re winning!